The Samsung Galaxy S10 is as good as the Galaxy S10+ on most counts, save for battery and price. If you don’t mind losing that extra selfie cam for a cheaper, more compact 2019 Samsung flagship, the Galaxy S10 is for you. The Samsung Galaxy S9 from last year used glass in its construction and the Galaxy S10 is no different. The Galaxy S10 uses Corning’s Gorilla Glass 6 on the front face and Gorilla Glass 5 on the rear panel. The sides get a polished metal frame for rigidity and to hold the front and back panels together. The result is a pretty sleek-looking handheld device with oodles of curves around the edges and two smooth, shiny flat surfaces. Even without the bundled TPU case on, the Galaxy S10 feels grippy enough in the hands. 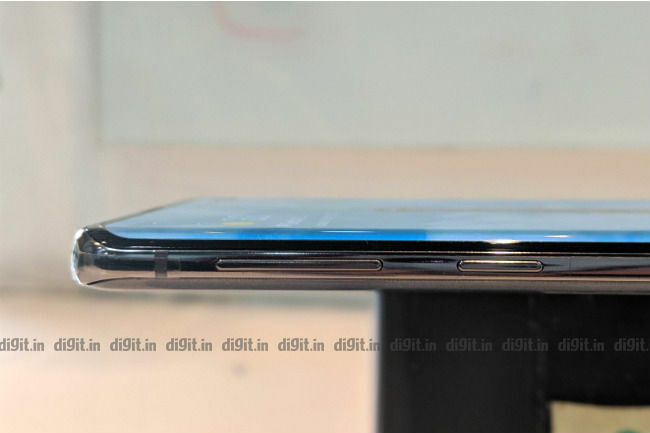 At least, it doesn’t threaten to slide off your fingers every time you pick it up, a problem the Samsung Galaxy A30 had (read our review of that here). Like the larger Galaxy S10+, the Galaxy S10 comes in three colour options on Samsung’s website: Prism Black, Prism White, and Prism Blue. Our review unit came in Prism Black, in which the phone looked understated and classy. Apart from a pre-installed screen protector, the handset came with a thin plastic protection film along the sides. Don’t expect this film to stick on for long; the one on our review unit started peeling off after a couple of days of regular use. The bundled TPU case is your best option for instant basic protection. 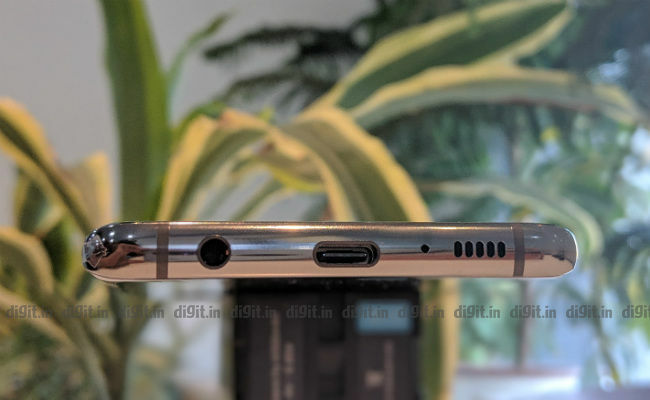 Unlike some of the popular flagship models out there (I’m looking at you, Apple and Google), the Galaxy S10 comes with the all-essential 3.5mm audio jack. Next to it is a USB Type-C port for charging and data transfer, leaving enough space on the bottom side for a single-grille loudspeaker. The right side of the phone houses just the power button, while the left side is home to the volume rocker and a dedicated button for Bixby, Samsung’s proprietary virtual assistant. Luckily the Bixby button can be reprogrammed to fire up other third-party apps (like Facebook or Instagram), something previous Samsung software updates lacked. The top side of the phone houses the SIM/microSD card tray and the secondary microphone. I can’t say I’m behind Samsung on its decision to place the volume rocker on the upper area of the left side of the phone. I found myself accidentally pressing the volume keys—and sometimes the Bixby button too—whenever I played landscape-oriented games like Asphalt and PUBG Mobile on the review unit. The same happened while watching YouTube but less frequently. Seasoned Samsung smartphone users may not find this a big issue but I felt it’s worth putting out there nonetheless. In summary, the Samsung Galaxy S10 looks and feels like a flagship smartphone. What’s more, it’s IP68 rated for dust and water resistance. Its glass construction and overall curvy design make you feel you’re holding the right sort of mobile phone in a meeting or at an airport. Users who prefer one-handed use of their smartphones will appreciate the Galaxy S10’s size. I was able to use the Galaxy S10 in one hand comfortably while browsing and typing. To give you an idea about the size of my fingers, I’ll let you know that I own a OnePlus 5 and struggle to reach edges. The display on the Samsung Galaxy S10 is a noticeable step-up from that on its predecessor, the Galaxy S9. It has a 6.1-inch “Infinity-O” Dynamic AMOLED display. 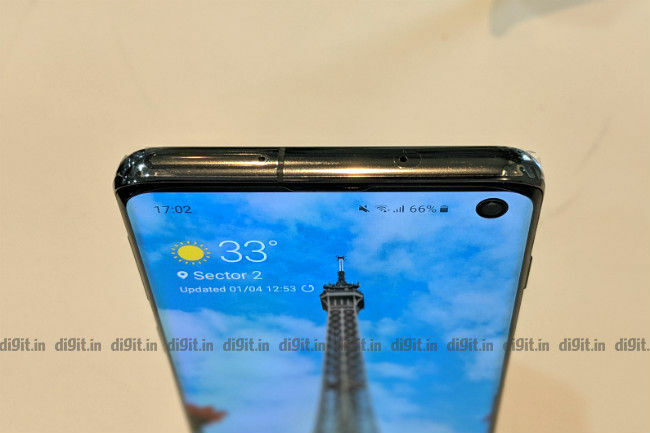 Infinity-O is Samsung’s way of referring to that black mole you see on the upper right corner of the display; it houses a single selfie camera. The max resolution is a cool 1440 x 3040 pixels and the aspect ratio is an industry-standard 19:9. What’s more, it’s HDR10+ certified, so it’s capable of reading the video clips’ per-frame metadata. The pixel density of the display is around 550 pixels per inch, which is no doubt healthy. Users will appreciate the phone’s ability to switch to two more lower resolution options for better battery conservation. The phone’s software also lets the user change display modes and adjust colour temperature. Real-world experience of the Galaxy S10’s Infinity-O display is without a doubt top-class. Colours appear naturally rich and the brightness of the display ranges from 3 to 556 nits. Some apps and games, like YouTube, Asphalt 9 draw right over the selfie camera on the upper right corner without any problems to fit the entire screen, while others like Amazon Prime Video and Ace Force don’t use the area above the selfie camera. The presence of a black round mole on the screen can be unsettling while watching something bright and crisp, like say, a 4K YouTube video on London’s cityscapes, but it’s nothing one can’t get used to. In summary, the Galaxy S10’s display is supremely bright, colourful, and a treat to look at, whether you’re using the phone for casual browsing or playing a rich HDR10+ enabled video. The single side-firing loudspeaker on the Galaxy S10 is crisp and loud for both calls and music. In a large conference room (about 20 x 10 feet in size), one can take conference calls with a handful of colleagues without having to worry about the max volume. Luckily, Samsung no longer warns you about ear damage when you turn the volume up to max. The earpiece on the other hand could have been a little louder for voice calls. Like its older Plus brother, the Samsung Galaxy S10 comes with Samsung’s Exynos 9820 chipset that’s built on an 8-nanometre process. As mentioned in the Galaxy S10+ review, the chipset has eight cores in three clusters. Out of the eight, the four Cortex-A55 efficiency cores are clocked at 1.95GHz, the two Cortex-A75 middle cores are clocked at 2.31GHz, and the two Mongoose M4 performance cores are clocked at 2.73GHz. The GPU onboard is a Mali-G76 MP12. While the Galaxy S10+ is offered in a 12GB RAM variant, the Galaxy S10 is offered with only 8GB of LPDDR4x RAM. Internal storage can be either 128GB or 512GB, with an optional microSD card going up to 512GB. All this definitely sounds like the ingredients of a flagship smartphone but did the Galaxy S10 match up to its bigger brother? 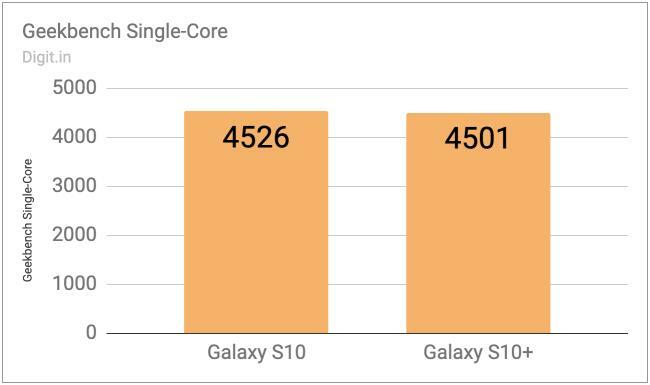 In synthetic CPU benchmarks like AnTuTu 7.0, Geekbench Single Core, and Geekbench Multi Core, our review unit of the Galaxy S10 scored 335503, 4526, and 10311 respectively. 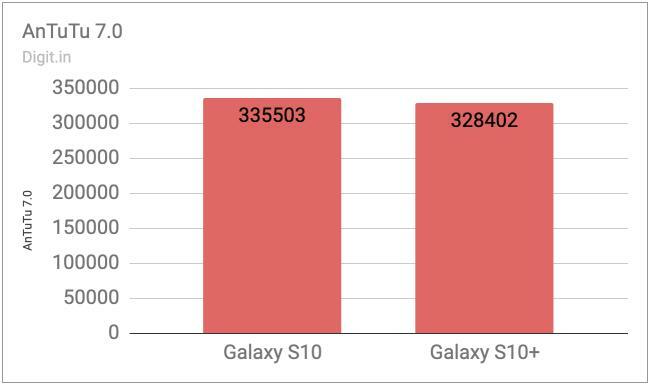 In comparison, the Galaxy S10+ scored 328402, 4501, and 10225 respectively, giving the Galaxy S10 the upper hand by a tiny margin. 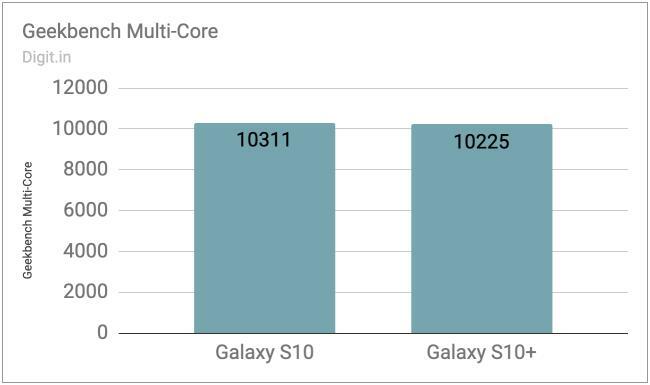 In GPU benchmarks, the Galaxy S10 didn’t score so well. 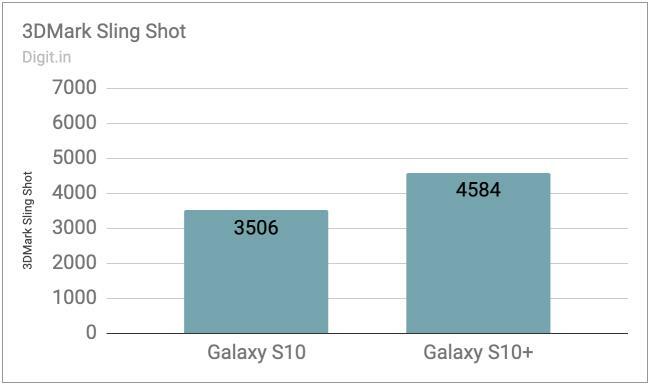 In 3DMark’s Sling Shot and GFX Bench’s Car Chase, it bagged 3506 and 1364 respectively, where the Galaxy S10+ scored 4584 and 2356 respectively. Though there are some differences in benchmark scores, it’s hard to say if there’s any noticeable difference in the performance of the two phones. Real-world performance of the Samsung Galaxy S10 is excellent. Running several apps and downloads simultaneously doesn’t seem to upset the phone’s performance one bit. On the review unit, I was comfortably downloading Asphalt 9 on the Play Store while PUBG Mobile was updating itself internally. At the same time, I was able to switch to a tab-filled Chrome browser to check news. Opening YouTube to play a quick video midway didn’t seem to upset the phone either. Cycling through heavy apps like this didn’t result in so much as a stutter in the UI’s animation. 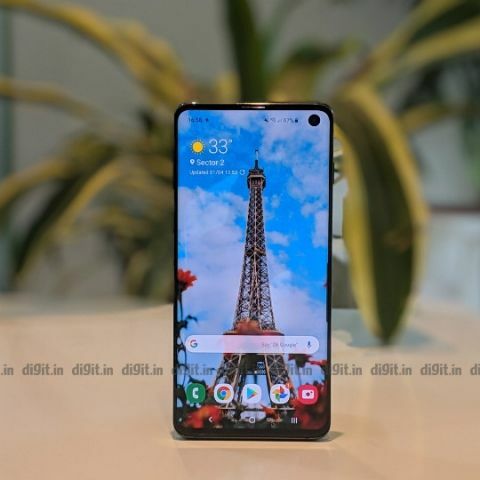 In summary, the Samsung Galaxy S10 performs the way a flagship smartphone should: it runs multiple heavy apps simultaneously without any signs of sweat or delay. Gaming performance on the Galaxy S10 seems right up there too. 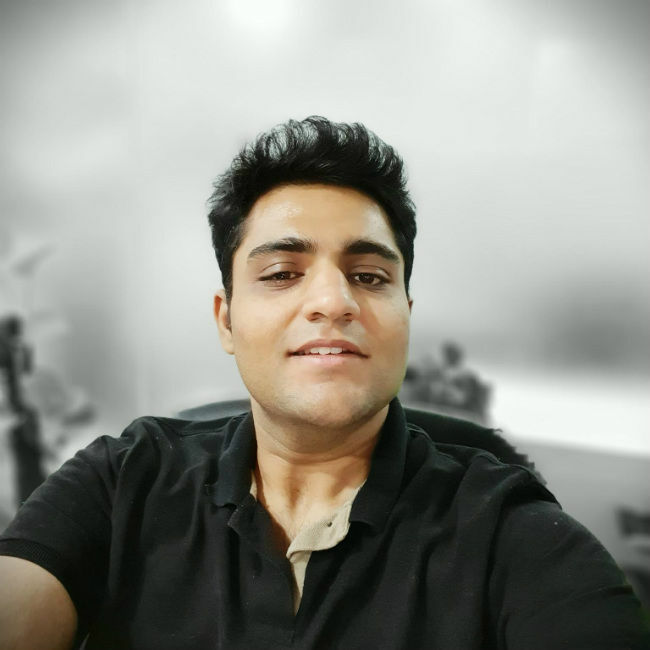 On the review unit, I played Asphalt 9 and PUBG Mobile while the run was being recorded on Gamebench without any hassles. The frame rate remained locked at 30 frames per second for the most part, dipping to 28 or 27 during some action sequences. While playing the two games, Gamebench recorded a median frame rate of 28 frames per second on Asphalt 9 and 29 frames per second on PUBG Mobile. In comparison, the Galaxy S10+ scored a perfect 30 frames per second on both. Despite the drop in score, it’s hard to call the Galaxy S10 a bad gaming device as I noticed no visible stutters or lags in the review unit. 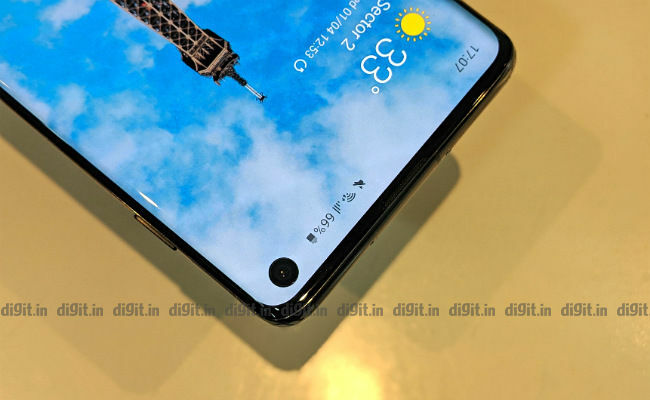 The Samsung Galaxy S10 ditches the traditional fingerprint scanner on the rear panel for an in-display ultrasonic fingerprint scanner. On the review unit, the fingerprint scanner took almost a whole second to scan and authenticate my finger data before unlocking the screen. Even when my finger was placed directly over the fingerprint icon on the display, the scanner failed to recognise me at times. On an average, I found the fingerprint scanner successful in matching six times out of ten. Personally, I prefer the traditional fingerprint scanner on the Galaxy S10e’s power button; it’s quick to react and there’s no chance of mispositioning your finger in a hurry. The face unlock mechanism on the Samsung Galaxy S10 is quick and efficient. As long as it’s used in a well-lit room with the phone held directly in front of the face, the face unlock feature takes less than a second to open up the phone. The two unlock methods can be used with Samsung Pay and other apps that support it. It should, however, be noted that face unlock on the Samsung Galaxy S10 does not utilise any 3D maps, but instead relies on a 2D representation of your face, making it far less secure in comparison to the fingerprint unlock. The Samsung Galaxy S10 runs Android 9 Pie with Samsung’s new One UI thrown on top of it. 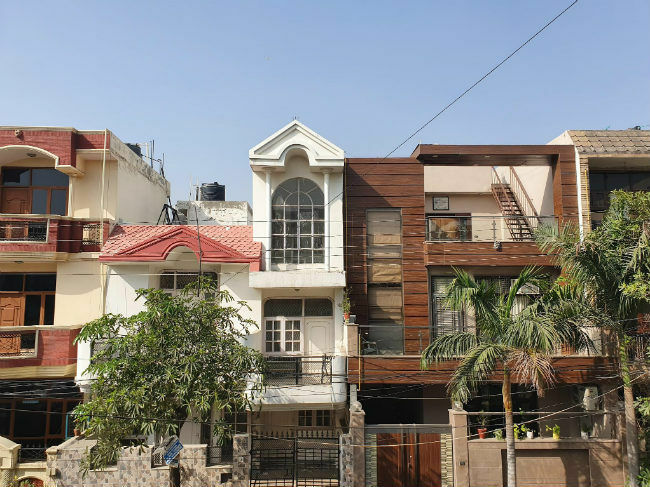 Fans of the old TouchWiz UI will come to like the new UI as it looks cleaner in some areas, like the app drawer and menus, while retaining that familiar Samsung feel to the icons and menu items. On the Samsung Galaxy A30 I noticed that a lot of bloatware was installed on setup but it didn’t seem to be the case with the Galaxy S10; I was able to uncheck apps like Samsung Pay, SmartThings, Samsung Health, etc. during the first-time setup on the review unit. Apart from that easily recognisable Samsung look, the UI on Android 9 Pie comes with gesture-based navigation but it’s not the one you find on stock Android. 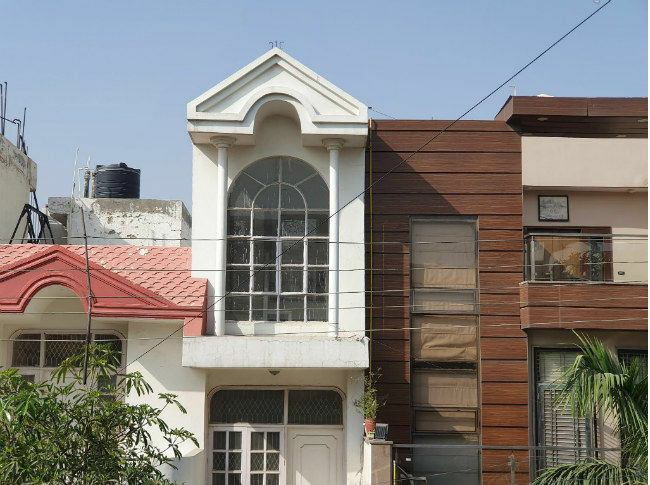 Samsung has its proprietary version where you swipe upwards from the bottom edge of the screen to use the functions of three navigation buttons. One UI also has a range of themes and wallpapers to choose from; some of them are paid. On the back, the Samsung Galaxy S10 shares its triple camera setup with the bigger Galaxy S10+. The first camera is a 16-megapixel ultra-wide sensor with an f/2.2 aperture with fixed focus and no optical image stabilisation. The second and primary camera is a 12-megapixel sensor with a dual aperture of f/1.5 and f/2.4 and a 26mm field of view. The third camera is a telephoto sensor with an aperture of f/2.4; it has optical image stabilisation and phase-detection autofocus. 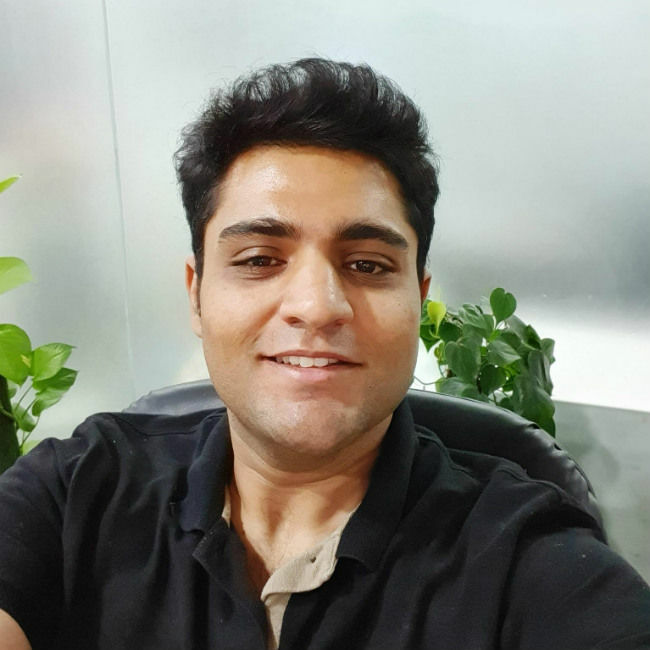 The difference is only in the front camera; while the Galaxy S10+ gets two front facing cameras, one for photos and one for collecting depth information, the Galaxy S10 gets only one. 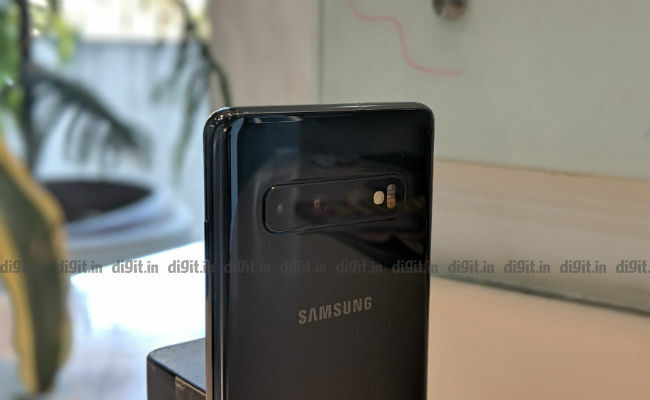 Because the rear cameras are the same on both phones, you’ll be able to use the photos taken on the Galaxy S10+ as additional reference for the Galaxy S10’s camera output quality. 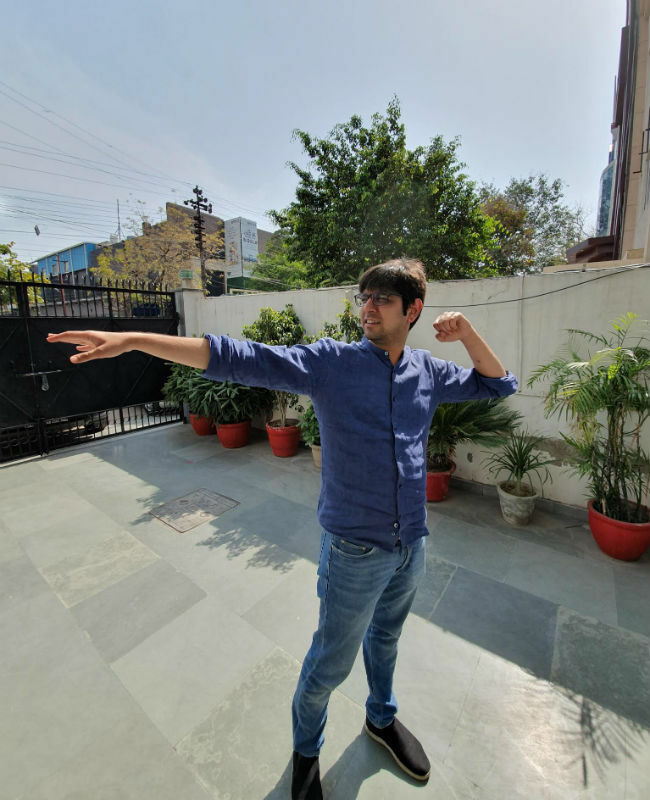 You can find them here in the review of the Galaxy S10+, where my senior colleague Swapnil has put the phone’s camera extensively to the test. I found the photos taken through the primary camera to be rich in colours and sharpness, with just a hint of noise setting in as the background light grew dim. It was the same case with the telephoto camera. 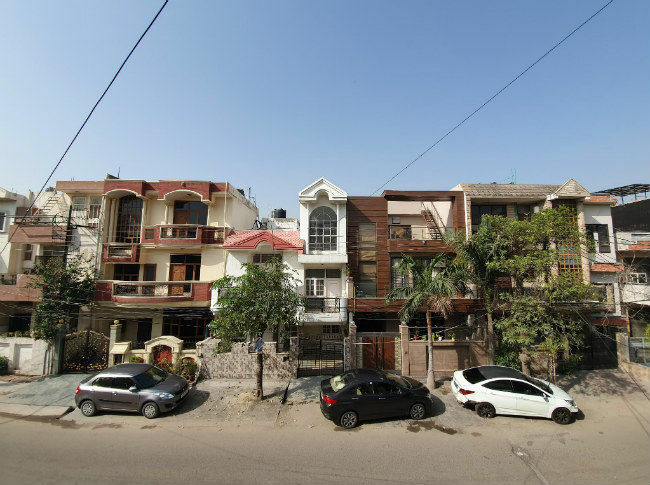 The wide-angle camera, however, displayed a considerable amount of barrel distortion, leaving some photos with an unintended fish-eye effect. The photos through the selfie shooter appeared fine but a little less colourful than the ones taken through the rear. The Galaxy’s camera was eager to “beautify” faces even when the beauty level was set to minimum. In summary, the Samsung Galaxy S10’s camera is ideal for most conditions even though low-light conditions invite a noticeable amount of pixelation and noise in the photos. Samsung may have narrowed the gap between the Plus and Non-Plus Galaxy S smartphone with the Galaxy S10 and S10+ on a lot of counts but the battery department isn’t one of them. While the Galaxy S10+ comes with a 4,100mAh battery, the Galaxy S10 settles for a much smaller 3,400mAh unit. Luckily it retains the same features like wireless charging and reverse wireless charging. Our review unit scored 442 on our standard battery benchmark test. In comparison, the Galaxy S10+ scored 680 on the same test. The difference reduced in our continuous video loop test and GPS navigation test. With the screen brightness mostly set to sixty percent, Wi-Fi and Bluetooth enabled, I used the Galaxy S10 review unit for about an hour of gaming (PUBG Mobile and Asphalt 9), a couple of hours of browsing, and an hour of video playback on YouTube. From around 100, I saw the battery drop to 40 percent by the end of the day. If you’re a medium to heavy user of your phone, you can expect the Samsung Galaxy S10 to last you a little over a day on a single charge. Juicing the handset back up to 100 percent takes up to 90 minutes. If you’re looking for a flagship smartphone that scores high on performance, photography, and aesthetics, the Samsung Galaxy S10 is perfect for you. But before that, there’s an important question waiting to be answered. 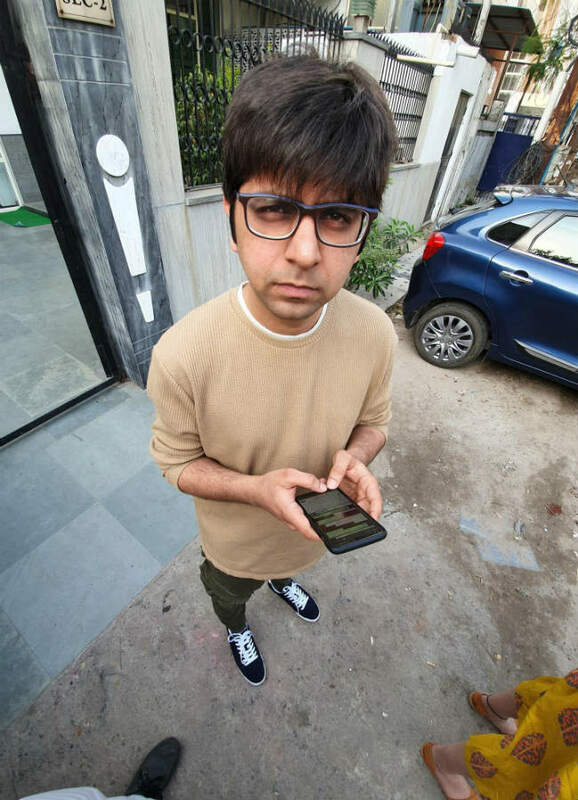 Given the fact that the larger Galaxy S10+ is only Rs 7,000 away, why would you pick the Galaxy S10 up? You’d pick the Galaxy S10 over the S10+ only because you don’t care too much about selfies, you want a slightly more compact body, you don’t need 0.3 inches more of screen space, and you don’t mind trading in battery capacity for a cheaper Samsung flagship. While the battery performance on the Samsung Galaxy S10 can be termed good, the battery performance on the Galaxy S10+ can any day be termed superior. If the extra bucks don’t matter to you, you’re better off getting the Galaxy S10+. If, however, you want a slightly more compact Samsung flagship smartphone, the Galaxy S10 is just as good. In summary, whether it’s the Samsung Galaxy S10 or S10+, you really can’t go wrong with one.